Kenya Sevens is through to Vancouver 7s quarterfinals courtesy of a second place finish in Pool C on Saturday, March 10, 2018. Kenya beat France 14-7, Spain 43-0 and lost 24-21 to Fiji in their last pool match. 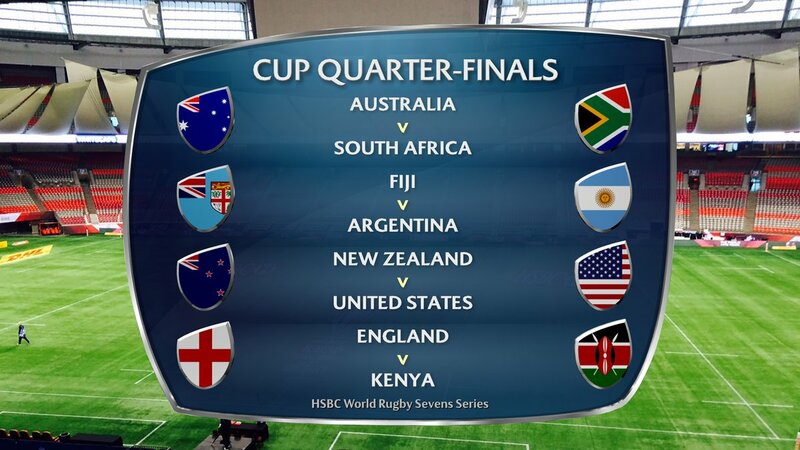 Shujaa has booked England in cup quarters to be played on Sunday evening at BC Place in Canada. Kenya finished second with 7 points, Fiji settled for the top spot with nine while France and Spain finished with four points each. England topped pool B with seven points to set up a meeting with Kenya. The quarterfinal will be at 10.14pm Kenyan time. Other quarters will see Australia play South Africa at 9.08pm, Fiji take on Argentina at 9.30pm and New Zealand play the USA at 9.52pm.